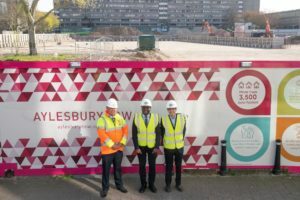 Header Image | Cain Peters, Regional Director for Hill, Cllr Johnson Situ, Cabinet Member for Growth, Development and Planning at Southwark Council, and Jeremy Stibbe, Group Director of Regeneration and Assets at Notting Hill Genesis, at the First Development Site in Southwark. 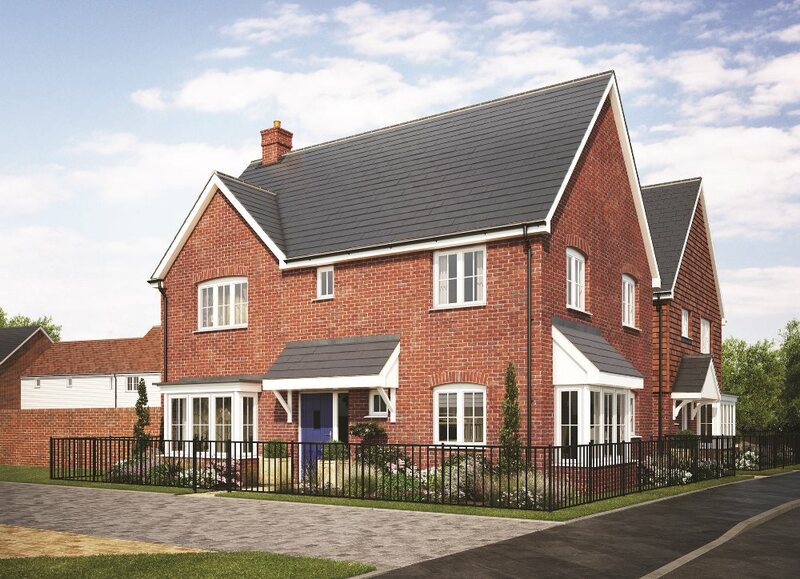 Ashberry Homes has launched new showhome in Victoria Gardens, part of the Peters Village community in Wouldham, Kent. Victoria Gardens is made up of a collection of two-bedroom apartments and two-, three-, four and five-bedroom houses. 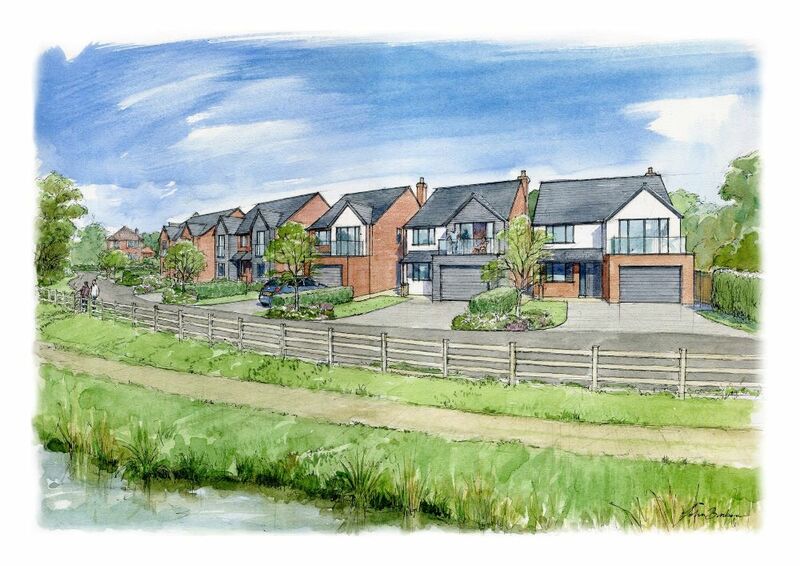 Jones Homes has acquired 1.1ha of land in Harthill, paving the way for the construction of 24 new homes. 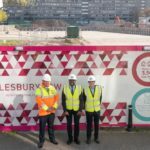 The housebuilder is planning to build a range of four- and five-bedroom houses along with six affordable homes. Planning permission for the development, which involves the demolition of an existing bungalow on the site, was granted by Rotherham Metropolitan Borough Council in November last year. As part of the planning agreement for the development, Jones Homes will be contributing around £89,000 towards the improvement of infrastructure and facilities in the Harthill area. Work is now underway at the development and a sales centre is due to open on site during the summer. 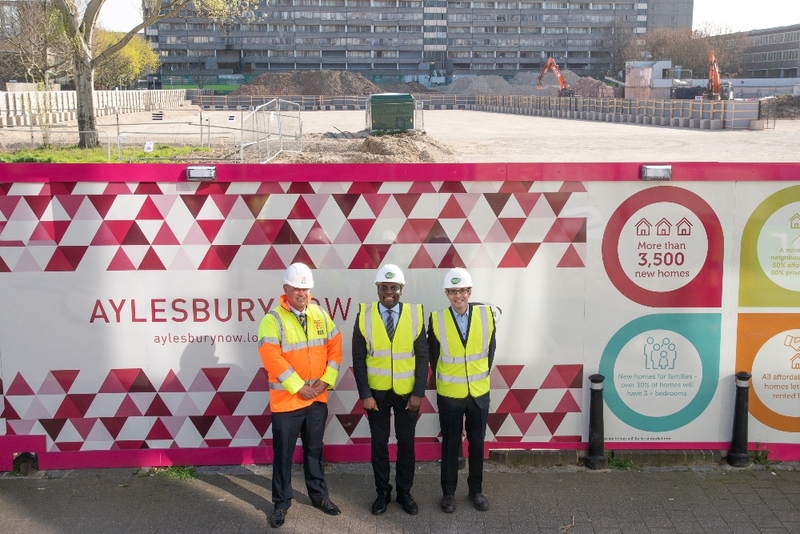 The first homes in Notting Hill Genesis’ regeneration of the Aylesbury Estate will be delivered by Hill. 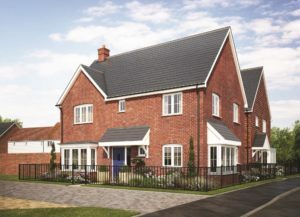 The housebuilder will build 229 homes on a parcel of land known as ‘Package A’ after being appointed on a £70m contract. Of those homes, 84 per cent will be available for social rent, including 54 extra care units and seven homes for people with learning difficulties. Construction has begun on Swing Bridge Wharf, a residential development in Moira by developer Wheatcroft Land, under its new residential brand, Wheatcroft Homes. MCR Property Group has acquired Block 3 of Bristol’s Parkview Campus to convert into 162 new homes. Located to the south of the city centre, Parkview Campus comprises 250,000 sq. ft. of office space that was once home to the former headquarters of supermarket chain, Somerfield. Part three and four storeys, the building comes with permitted development rights to be converted into residential apartments. The company intends to build 162 one and two-bedroom apartments to meet demand for residential homes in the area. MCR Property Group, which has offices in Manchester, London and Birmingham, purchased Block 3 for £8m. 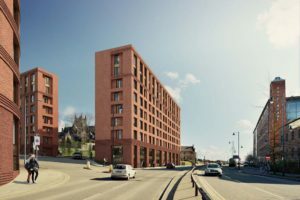 York based development company, S Harrison, has submitted a planning application to build a major new apartment development for the private rented sector (PRS) in Leeds city centre. The site consists of two parcels of vacant land between East Street and Ellerby Road which are allocated for residential purposes in the Aire Valley Leeds Area Action Plan. 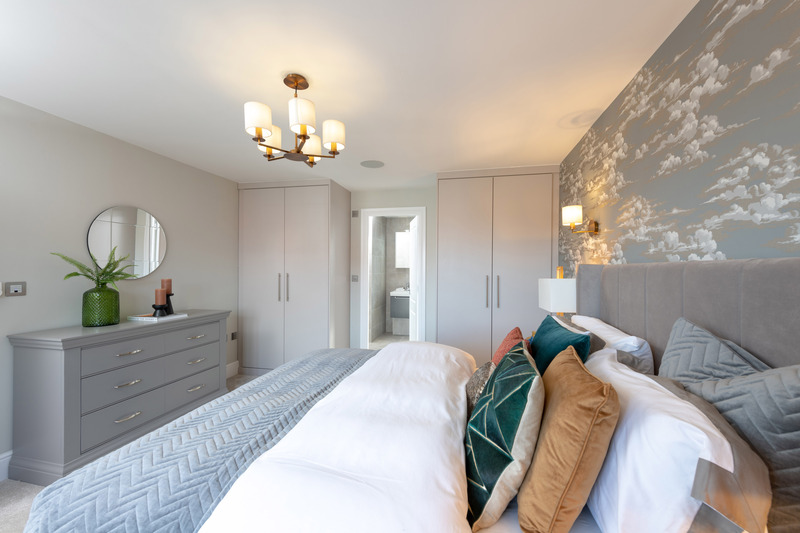 Showcasing its Signature Collection, Jones Homes has opened the doors to a new four-bedroom show home at it development in Eastchurch. The four-bedroom Hartford Regent II home showcases the design features and specification of the company’s ‘Signature Collection’.